How to Grow Food in Small Gardens Online Course! 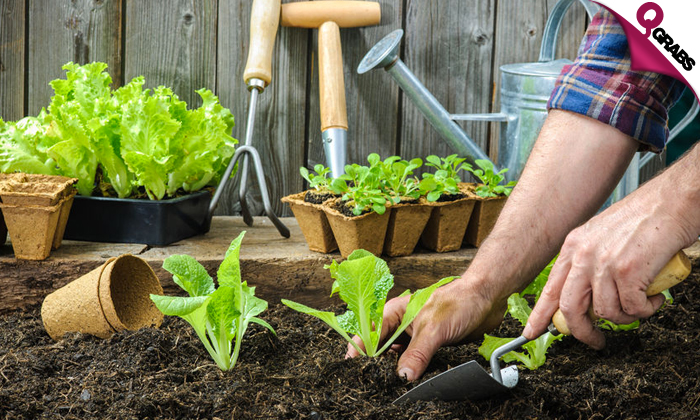 When you learn how to grow your own fruits and vegetables, you’re in charge of how they are taken care of, when they are harvested and how long it takes to go from garden to table. Unlike produce from the grocery store, where there is no way to know how long the cucumbers have been sitting out, how many people have squeezed the tomatoes or what chemicals were sprayed on the strawberries. Gardening lowers blood pressue, connects you to green space – even in the middle of the city – and allows you to commune with nature! We’ll teach you everything you need to know, so let’s get growing! Small scale gardening done right with 91% off!